Pollinator Week, June 19–25, 2017: Bee Knowledgeable! 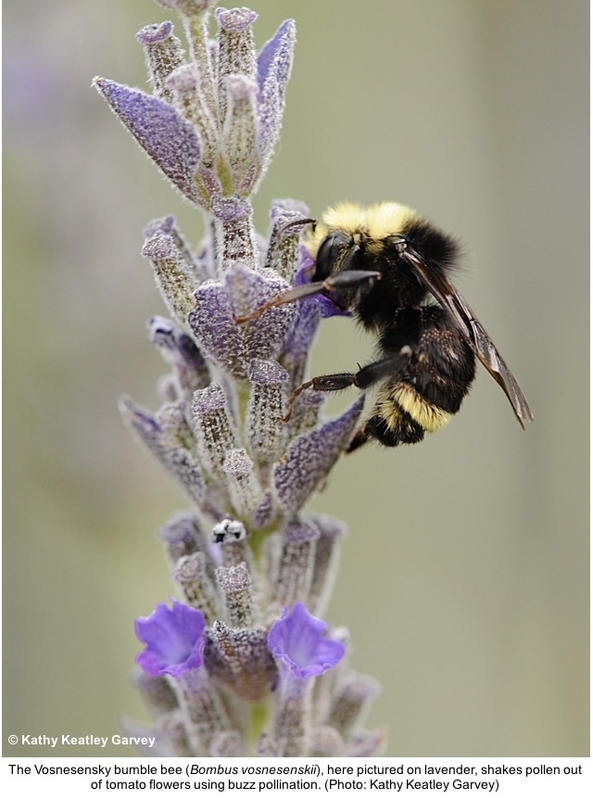 You can help all kinds of bees by using integrated pest management (IPM). This means using nonchemical pest management methods (cultural, mechanical and biological control), monitoring for pests to determine whether a pesticide is needed, and choosing pesticides that are less toxic to bees whenever possible. 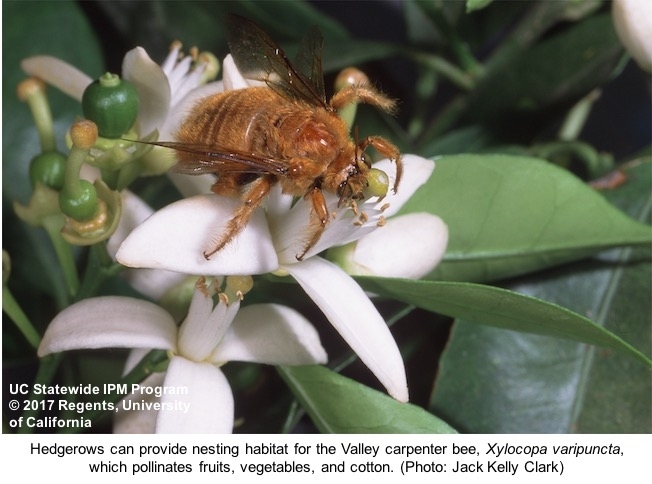 Check out the UC IPM Bee Precaution Pesticide Ratingsto learn about the risks different pesticides pose to honey bees and other bees, and follow the Best Management Practices To Protect Bees From Pesticides.